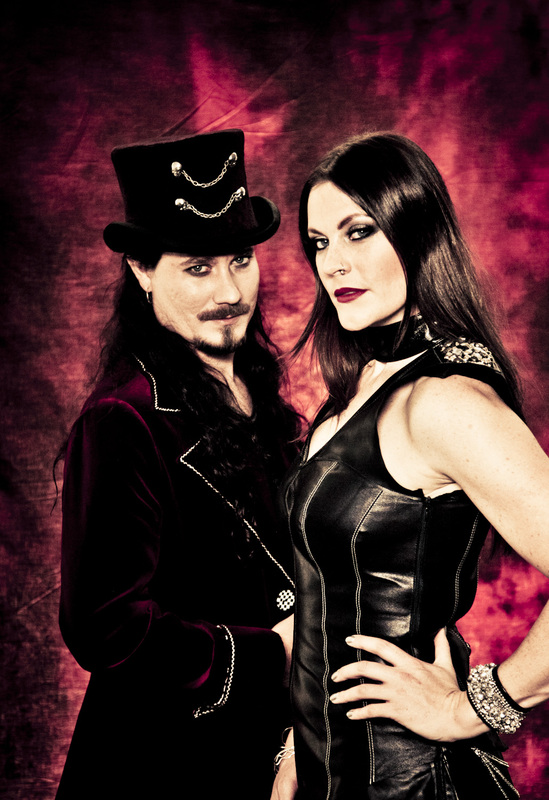 Tuomas Holopainen & Floor Jansen. . HD Wallpaper and background images in the Nightwish club tagged: photo nightwish ville juurikkala 2014. This Nightwish photo might contain коктейльное платье, оболочка, ножны, платье, and бюстье.